CUPE Local 1190, which represents provincial park and tourism workers, denounces the 8 million dollar cut made by Premier Higgs and Minister Gauvin to the Department of Tourism, Heritage and Culture. The only detail Gauvin has issued was that cuts would be entirely borne by Tourism, and mainly in advertising and promotion. “Without advertising, how will tourists know about everything our province has to offer?”, said Brent Wiggins, president of CUPE Local 1190. At a time when the dollar is forecasted to sink to a record low of 62 USD, Local 1190 believes the smart move would be to invest in workers and by producing ads targeting Americans. “I fear that with 8 million less, it will reduce traffic in our parks, and this will in turn decrease revenues for NB. 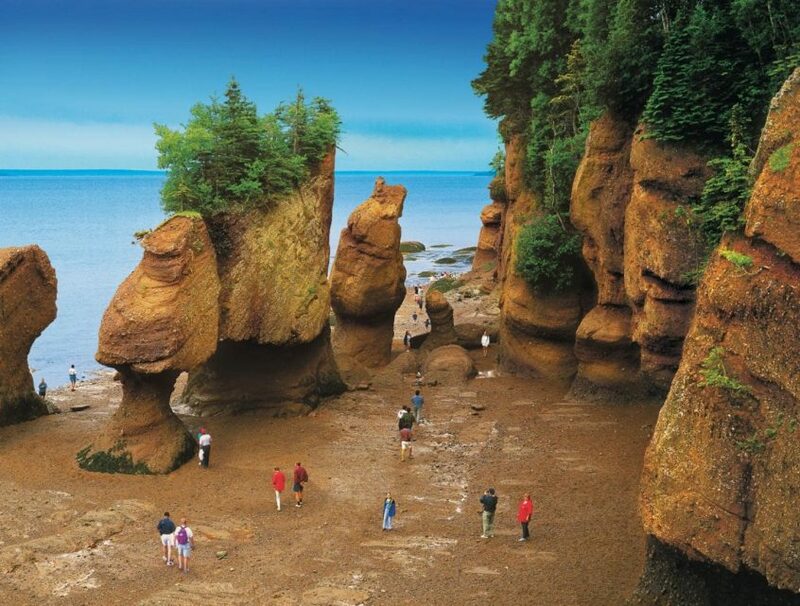 For every public dollar invested in promoting New Brunswick as a tourism destination, there is an estimated return of $3.19 to the province,” said Wiggins. “Tourism staff are those who make or break your experience in parks and attractions. Workers in our provincial treasures such as Kings’ Landing and the Village Historique Acadien are underpaid; they earn on average $14/hour. Part of this 8 million could have been reallocated to fix the casual workers rates. They are currently only paid 80% of the wage that a full-time employee earns, even if they are doing the same work. This is a shame,” said Wiggins. Local 1190 represents over 1,500 employees, including tradespersons, operations workers, maintenance repair workers and labourers working at the Departments of Transportation and Infrastructure, as well as Tourism, Heritage and Culture.